7.2 What is the Mueller Investigation? 7.3 Why is Mueller Investigating the 2016 Presidential Election? 7.4 What are the Latest Developments in the Investigation? Robert Mueller- Robert Mueller is the special prosecutor appointed to look into Russian interference in the 2016 Presidential campaign. As evidence increases suggesting that the Trump campaign colluded with Russia, Republicans have claimed the Mueller’s investigation is partisan. An essay focusing on Mueller’s background would look into his political allegiances, prior work history, and other aspects that would support or discredit claims that he is behaving in a partisan manner. Christopher Steele- The ex-spy who claims that a Russian dossier exists that makes Trump vulnerable to blackmail by the Kremlin. With allegations that the Trump campaign colluded with Russia to influence the 2016 presidential election, any interactions between Trump and Russian officials becomes of interest. This includes allegations by ex-spy Christopher Steele that a dossier on Trump exists that details information, including a video tape of sexual activity with prostitutes, which could allow the Kremlin to influence Trump’s behavior. This essay would not only discuss Christopher Steele’s history as an agent and the alleged contents of the dossier, but also whether those contents would actually give the Kremlin leverage over Trump. Election Influencing and the Internet- The allegations that Russia influenced the 2016 presidential election are multi-faceted. In addition to claims of possible tampering with election machines and votes, the claims include Russia’s role in using social media to influence the outcome of the election. An essay on this topic would discuss how social media has been used to influence elections, both in the United States and abroad. Did the Trump Campaign Collude with Russia to Influence the 2016 Election? Is the Mueller Investigation a Partisan Witch-Hunt? b. What is the Mueller Investigation? c. Why is Mueller investigating the 2016 presidential election? d. What are the latest developments in the investigation? While President Trump or his surrogates have repeatedly called the Mueller Investigation a witch-hunt and suggested it has no foundation, the reality is that Mueller has not only found enough evidence to indict several members of Trump’s campaign or administration, but also that the investigation has already led to some guilty pleas. While the political process and the fact that a sitting President cannot be indicted on federal charges, only impeached, may mean that Trump evades prosecution for collusion in the 2016 campaign, the results of the Mueller investigation have already proven a significant level of collusion to influence the 2016 campaign, between Trump’s associates and Russia. Special Investigator Robert Mueller may face accusations of engaging in partisan politics, but his history, both as a professional and as an individual, make those accusations appear spurious. Robert Mueller, a former US attorney, was the second-longest serving FBI director in history; in 2011, Congress voted to extend Mueller’s term by two years, so that he could serve a 12-year tenure, rather than a 10-year tenure (Kopan, 2017). He was unanimously confirmed by the Senate in 2001, after being appointed by a Republican President, George W. Bush. Likewise, in 2011, the vote to extend his term was unanimous. He is considered by other law enforcement professionals to be among the best, if not the best, investigative prosecutor in the country, and has been responsible for a number of high-profile investigations. He personally identifies as a Republican, politically, though there are no allegations that his personal political beliefs have influenced any of his actions as FBI director or US attorney. While referred to as the Mueller Investigation in the press, the Mueller Investigation is more appropriately called the Special Counsel Investigation. Mueller is the head of the investigation, but he was not responsible for beginning the investigation. Instead, he was appointed by the Justice Department to investigate allegations that Russia influenced the 2016 Presidential campaign after the Trump Administration fired FBI director James Comey, who was investigating those allegations, and Attorney General Jeff Sessions recused himself from the investigation. “As a special counsel, Mr. Mueller can choose whether to consult with or inform the Justice Department about his investigation…He is empowered to press criminal charges, and he can request additional resources subject to the review of an assistant attorney general” (Ruiz and Landler, 2017). Therefore, the investigation is both independent of other law enforcement agencies, but also subject to oversight by the Attorney General’s office, which is, in turn, part of the executive branch. This makes the investigation difficult, as the Trump Administration, which is the subject of the investigation, also retains the power to fire Mueller, and even to order that the Attorney General end the investigation and not name another special prosecutor if Mueller is fired. Therefore, the Mueller investigation is best described as a semi-independent Justice Department investigation, headed by special prosecutor Robert Mueller, into allegations that President Trump’s 2016 campaign colluded with Russia to influence the outcome of the election. Why is Mueller Investigating the 2016 Presidential Election? There are multiple answers to the question about why Mueller is investigating the 2016 presidential election. The first set of answers focuses on why Mueller is the individual in charge of the investigation. The second set of answers focuses on why there is an investigation. The answers are related, because, if the reasons necessitating the selection of Special Counsel are accurate, they could help bolster claims of collusion between the Trump Campaign and Russia. Appointing a Special Counsel became necessary after President Trump fired FBI Director James Comey. Trump reportedly asked Comey to end the investigation into Trump’s National Security Advisor Michael Flynn and allegations that Flynn had colluded with Russia in matters regarding the 2016 campaign. At the time those allegations came to light, there was not evidence that Flynn was necessarily acting on behalf of Trump’s campaign. When Comey refused to end the investigation into Flynn, Trump fired him from his position. The acting Attorney General responded by naming Robert Mueller, a man known for his impartial and judicious approach to issues, as special counsel to investigate those claims of collusion. There are a number of reasons that collusion between the Russians and the Trump campaign is suspected. It is already well-established that Russia expended significant efforts to influence the 2016 Presidential campaign, including a very determined effort to use social media, specifically Facebook, to influence voters. In January of 2017, the Senate Select Committee on Intelligence launched a bipartisan probe of Russian meddling, which was sparked by a declassified report from the Director of National Intelligence, detailing efforts by Russian President Vladimir Putin, to help influence the campaign by smearing Democratic candidate Hillary Clinton. This was followed by investigations by the House Permanent Select Committee on Intelligence, the Senate Judiciary Subcommittee on Crime and Terrorism, the House Committee on Oversight and Government Reform, the Senate Judiciary Committee, the F.B.I., and then the Justice Department. The investigation started with allegations that Michael Flynn, who would become Trump’s National Security Advisor; Paul Manafort, who would become chairman of the Trump campaign; Jared Kushner, Trump’s son-in-law; and Donald Trump, Jr., all had contact with Russians who were giving them or offering to give them damaging information about Hillary Clinton in order to damage her campaign. Later, hackers break into DNC computers, steal oppositional research on Trump, and getting access to DNC emails. What are the Latest Developments in the Investigation? As of May 21, 2018, the investigation had resulted in a number of indictments, guilty pleas, and convictions. Former Trump campaign advisor George Papadopoulos has pled guilty to making false statements to the FBI about his contacts with Russian official while working for Trump’s campaign. Michael Flynn pleaded guilty to making false statements to the FBI. Three other people have entered guilty pleas in relation to the investigation: Paul Manafort’s business partner Rick Gates, Richard Pineo, and Alex van der Zwaan. Mueller has indicted Paul Manafort, thirteen Russian citizens, and three Russian entities on a variety of charges linked to the investigation. The Mueller Investigation began as a series of several investigations into whether Russia interfered with the 2016 Presidential election, with the goal of damaging Hillary Clinton’s campaign. Initially not linked to the Trump campaign, the investigation was merely looking at Russian hacking efforts. 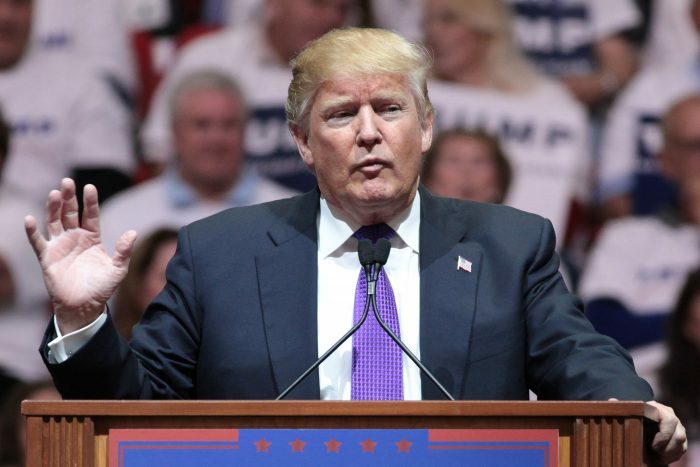 However, as the investigation unfolded, it revealed an increasing amount of evidence suggesting that the Trump campaign, if not Trump himself, was aware of the interference. This evidence became particularly troublesome when Trump began to make efforts to discredit the investigation and even fired James Comey because he refused to discontinue the investigation into Flynn. While characterized as a witch-hunt by Trump and his surrogates, the investigation has revealed enough evidence to result in several guilty pleas and even more indictments. As the investigation continues to uncover evidence, and as more witnesses cooperate with the investigation, it is possible that it will either lead to Trump firing the special investigator or to substantial evidence that Trump, himself, colluded with the Russians. Either result could lead to a constitutional crisis unlike anything seen in the United States since the Watergate scandal. Kopan, Tal. “Who Is Robert Mueller?” CNN. 18 May 2017. https://www.cnn.com/2017/05/17/politics/who-is-robert-mueller/index.html. Accessed 21 May 2018. Ruiz, Rebecca and Mark Landler. “Robert Mueller, Former F.B.I. Director, Is Named Special Counsel for Russia Investigation.” NYTimes.com. 17 May 2017. https://www.nytimes.com/2017/05/17/us/politics/robert-mueller-special-counsel-russia-investigation.html. Accessed 21 May 2018. After reading this Mueller Investigation essay, you have a basic understanding of what the Mueller Investigation is, who Robert Mueller is, why he is investigating Russian interference in the 2016 election, and the results of the investigation as of May 21, 2018. Because this is an ongoing story, you should be sure to check additional news sources for the latest information about the investigation. In addition to providing you with a factual background of the Mueller Investigation, this essay has also served as a template for an academic essay. It has shown you the appropriate structure for an expository essay, how to use quotations and cite sources, and how to structure a works cited page. If you have any additional questions about academic essay structure, one of our professional writers or editors would be happy to help you. "Robert Mueller Investigation Essay (Free Example)." Aceyourpaper.com. Student Network Resources Inc, 21 May. 2018. Web. 19 April 2019. Student Network Resources Inc. "Robert Mueller Investigation Essay (Free Example)." Aceyourpaper.com. 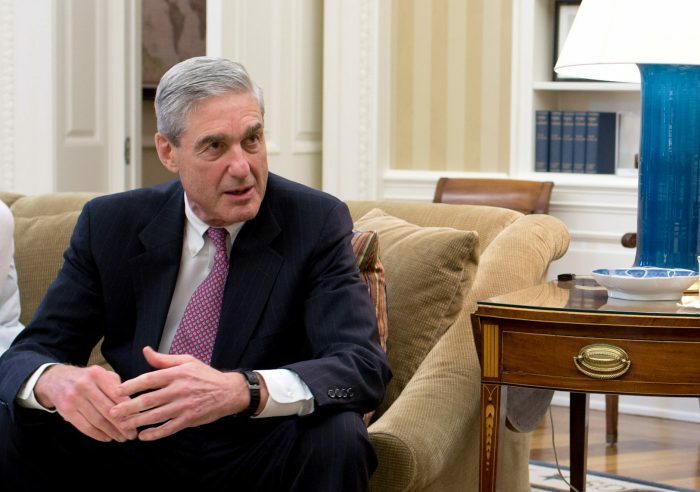 https://www.aceyourpaper.com/essay/robert-mueller-investigation-essay/ (accessed April 19, 2019).